HRM employees (and social worker Raymond Sheppard) outside City Hall on Tuesday. The municipality admits it’s not going a good enough job in creating a diverse and supportive work environment, and is promising—once again—to do better. 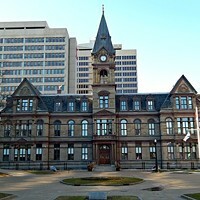 The acknowledgement comes after 20 public employees demonstrated outside City Hall on Tuesday in protest of racial discrimination inside HRM’s workforce. 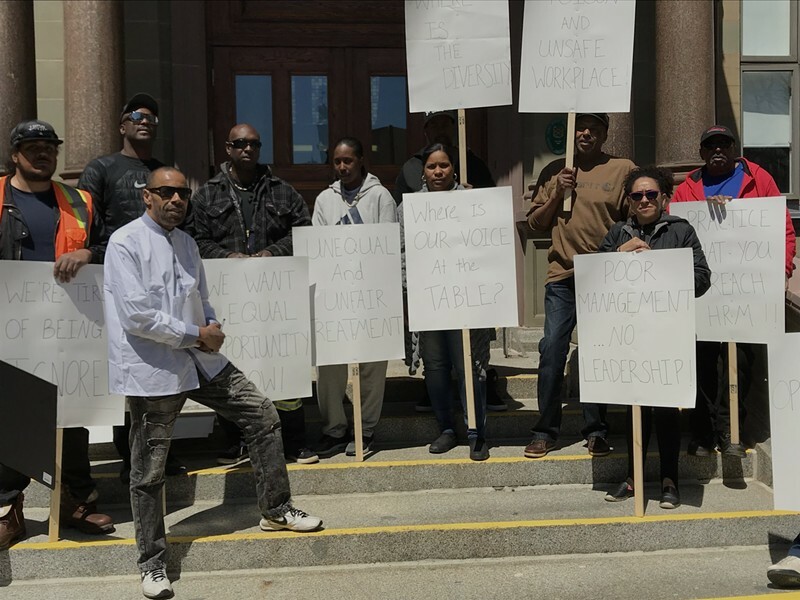 The mostly African Nova Scotian group was speaking out against employment barriers within HRM that prevent Black workers from being hired for managerial positions, and the municipality’s slow progress acting on recommendations from the 2016 Employee Systems Review. 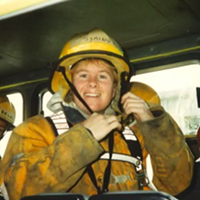 Copies of the third-party ESR analysis leaked to the press two years ago describe an overwhelming culture of harassment and discrimination in the municipal operations workforce. 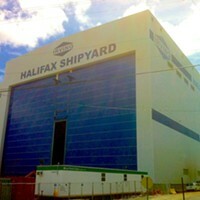 Employees were subjected to racist comments and conduct, sexist and homophobic language and other intolerable behaviours. The municipality, according to the ESR, failed to effectively address the situation and departmental supervisors routinely dismissed any complaints or blamed the victim for coming forward. The ESR report made 90 recommendations to address the workplace racism, but it's now two years later and fewer than half have been completed. Fourteen of the recommendations are still listed by HRM as “pending” and another 27 are “at risk” and require immediate attention. Operations employees—who look after green spaces, parks, sidewalks and snow clearing, among other duties—were looking for an update on that progress during Tuesday's demonstration. Several of them had to schedule vacation time to take part in the protest, which one of the employees guessed is what tipped off city hall management that the event would be taking place. Halifax CAO Jacques Dubé issued a detailed press release about the protest only minutes after employees gathered outside his window. Although council doesn’t handle personnel matters, mayor Mike Savage weighed in after Tuesday's meeting, telling reporters that HRM’s current hiring practices are “not sufficient” when it comes to diversity and inclusion. The CAO’s press release promises Halifax will be making improvements to its hiring practices in order to encourage more racially visible candidates for leadership positions. 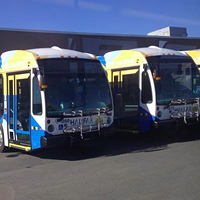 According to HRM, there have been “limited recruitment opportunities” since 2016 for supervisor positions and none of the employees hired have been African Nova Scotian. The municipality can’t really say how limited is “limited,” though. An exact number of recruitment opportunities since 2016 wasn’t able to be collected and shared with The Coast before deadline. 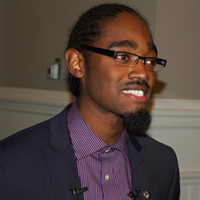 An updated progress report on the ESR’s recommendations that was asked for earlier this year by councillor Lindell Smith is expected back at council within a month.